In enterprise organizations, the API Gateway is typically deployed in the DMZ between the public Internet and private intranet. For more details, see API Gateway architecture. The API Manager web interface enables business or operational users (API owners) to easily register REST APIs and apply standard policies defined in the client registry to virtualize the APIs. It enables organizations and API consumers to consume APIs, browse the API Catalog, and monitor their API use. It also enables business or operational users (API administrators) to manage API clients and their consumption of APIs. API Manager provides a role-based interface, in which API Manager users are assigned a role (for example, API developer, API consumer, API administrator, API owner, or organization administrator). The operations that a user can perform in API Manager depend on the role they are assigned. For example, a user assigned the API developer role can register and virtualize REST APIs. API Manager is implemented as a web application that is hosted on the API Gateway. The default API Manager has Axway branding, and can be customized to use different branding. API Manager also has a management API that enables organizations to integrate with custom portals and other existing systems. This is the runtime gateway that proxies the REST APIs registered in API Manager, and that enforces configured policies on client requests and responses. API Manager is a layered product running on API Gateway, and which provides all the underlying gateway capabilities. API Gateway is a prerequisite product for API Manager. This is the catalog of published APIs and their associated documentation that have been registered in API Manager. 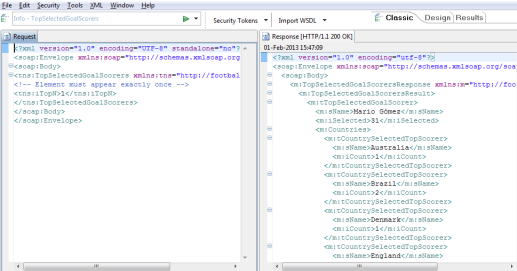 Client application developers can browse the API Catalog in API Manager and in API Portal. APIs can be tagged for classification and searching. The API Catalog is represented in Swagger format for tool integration. This is the repository of organizations and partners, API consumers, and client applications that consume the REST APIs. The Client Registry also contains the authentication credentials of the client applications, and authorization and quota policies defined at the organization and application level. The Client Registry is persisted in an Apache Cassandra backing store. Policy Studio includes API Management filters that provide read-only access to the Client Registry. These enable policy developers to develop policies that leverage the information in the Client Registry. Write access to the Client Registry must be performed using the API Portal API because data consistency checks are required. This plug-in wizard to Policy Studio enables you to create new REST APIs that route to policies developed in Policy Studio. This enables you to develop REST APIs from non-REST back-end applications and services, integrating with them at the application and security levels. For more details, see the API Gateway Policy Developer Guide. This REST-based API provides the underlying capabilities supporting API Manager. This API enables the management of the data in the Client Registry and the browsing of registered APIs, with API documentation returned in Swagger format. The API Manager API enables the development of custom API consumer portals and integration with external partner management systems. For more details, see the API Manager User Guide. API Portal is a self-service web-based portal that enables API consumers to consume APIs that you have exposed using API Manager. API consumers can register and manage their user profile, register applications, manage application credentials, browse front-end APIs and supporting documentation, monitor application API usage, and access blogs, forums, and so on. API Portal is implemented as a stand-alone CMS-based portal, which you can run using the default Axway branding and functionality, or customize and extend to meet your specific requirements and those of your target API consumers. You can deploy the internet-facing API Portal separately from the API Gateway and API Manager, with a dedicated web interface to limit potential security breaches. Client application developers can self-register and manage their profiles. The API Catalog contains the APIs that have been registered in API Manager and are available for use by client application developers. They can browse these APIs and their associated documentation, and invoke APIs using the built-in test capability. Application developers can register their applications that will use the APIs, and obtain API key or OAuth credentials for the application. They can also monitor their application's use of APIs using graphical real-time data sourced from API Gateway Analytics. API Portal runs on Joomla!™, an open source CMS platform for developing and deploying web sites. You can use the content management capabilities of Joomla to store additional content, such as PDF documents and video, for display in API Portal. Joomla also provides plugins for third-party blog and discussion forums. You can deploy API Portal with no customization, using the out-of-the-box Axway branding, which is suitable for internal-facing API deployments. For external-facing API deployments, you can customize API Portal to provide a branded developer portal experience. You can customize API Portal using Joomla configuration screens (upgradeable), or by editing the API Portal PHP source code (not upgradeable). For more details, see the API Portal User Guide. A filter is an executable rule that performs a specific type of processing on a message. For example, the Message Size filter rejects messages that are greater or less than a specified size. There are many categories of message filters available with the API Gateway (for example, Authentication, Authorization, Content Filtering, Conversion, Trust, and so on). In Policy Studio, a filter is displayed as a block of business logic that forms part of an execution flow known as a policy. A policy is a network of filters in which each filter is a modular unit that processes a message. A message can traverse different paths through the policy, depending on which filters succeed or fail. For example, this enables you to configure policies that route messages that pass a Schema Validation filter to a back-end system, and route messages that pass a different Schema Validation filter to a different system. A policy can also contain other policies, which enables you to build modular reusable policies. In Policy Studio, the policy is displayed as a path through a set of filters, as shown in the previous example. For more details, see the API Gateway Policy Developer Guide. Axway API Tester is a graphical tool that enables you to test API performance, scalability, and security. For example, you can use API Tester to send an example request message to a specific API service, and view the associated response. For more details, see the API Tester online help. Configuration Studio is a graphical tool used to promote API Gateway configuration from development environments to upstream environments (for example, testing or production). Configuration Studio enables API Gateway administrators to take configuration prepared by policy developers, and to create environment-specific configuration for deployment. Configuration Studio is designed for the skills of upstream administrators, and does not assume expertise in policy development and policy configuration. Open a policy package (.pol) received from a development environment. 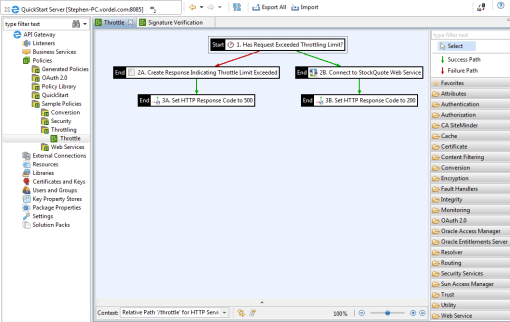 Specify values for environment-specific settings selected in a development environment (for example, policy, listener, and external connections). Import or create environment-specific certificates and keys. Define environment-specific users and user groups. Export the environment package to a file on disk. The environment package is implemented as an .env file. For more details, see the API Gateway DevOps Deployment Guide. API Gateway Manager is a Web-based administration console that enables you to perform operational monitoring, management, and troubleshooting. API Gateway Analytics is a Web-based monitoring and reporting console that enables you to generate scheduled reports and analyze API use in multiple API Gateways across the domain. The API Gateway Key Property Store (KPS) is used to store configuration parameters that are dynamically passed into policies at runtime. This enables policy configuration data to be managed directly by business or operational users at runtime, and allows dynamic change of policy behavior. For more details, see the API Gateway Key Property Store User Guide. API Gateway can act as a native Java Message Service (JMS) provider by embedding Apache ActiveMQ. This enables the API Gateway to integrate external facing REST APIs and SOAP Web services with back-end systems and applications using reliable, asynchronous messaging. 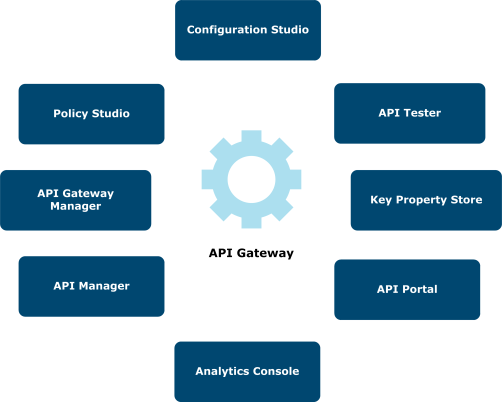 For internal integration and ESB-style projects, API Gateway provides a messaging and mediation solution to route and transform messages flowing between applications and services. In addition, JMS queues hosted on the embedded ActiveMQ can be used by API Gateway policies to provide asynchronous policy behavior. 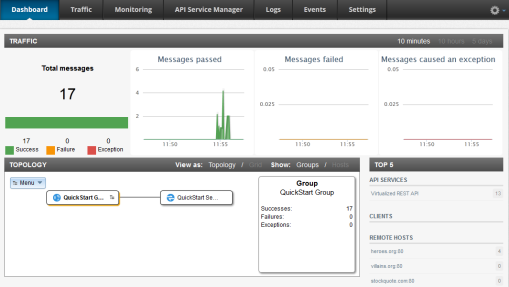 An ActiveMQ broker is embedded in each API Gateway instance, with brokers organized by API Gateway groups. An active/active deployment is supported to ensure high availability of the messaging infrastructure, with an external shared file system used for the persistent message store. The API Gateway installation includes the ActiveMQ Java JMS 1.1 client library, which applications can use to send and receives message to and from the queues and topics hosted on the embedded ActiveMQ broker. In addition, ActiveMQ clients that use the OpenWire protocol (ActiveMQ default transport protocol) can interact with the embedded broker. For more details, see http://activemq.apache.org/openwire.html. For details on how to manage ActiveMQ brokers embedded in API Gateway, see the API Gateway Administrator Guide.